“You link to me, and I’ll link to you.” Good link building tactic, or bad? Let’s find out. I must confess that I feel a certain attachment to reciprocal links (otherwise known as link exchanges). They were the first “SEO hack” that I ever applied in my career. 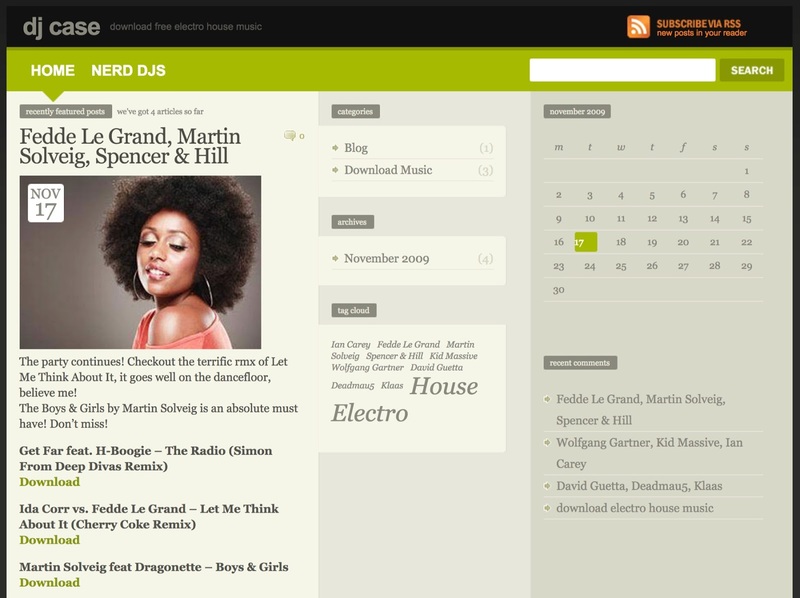 Ten years ago, I was an EDM DJ with a growing interest in SEO. I knew some SEO theory, but I had yet to put it into practice. 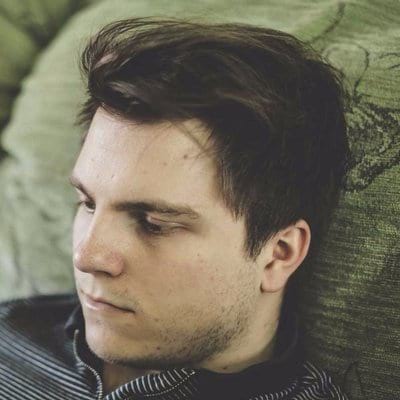 To solve this, I launched my own website where I published a weekly selection of newly‐released electronic dance music. It became a testing ground for my SEO abilities. The first website I ever launched was as embarrassing as it gets. No surprise it’s no longer live. Long story short, I quickly realized that if I wanted Google to send relevant traffic my way, then I needed links from other websites. That’s when I learned about reciprocal links. I found a few dozen similar blogs to mine and offered to exchange sitewide links with them. They agreed. The problem? Reciprocal links were against Google’s Webmaster Guidelines and still are. 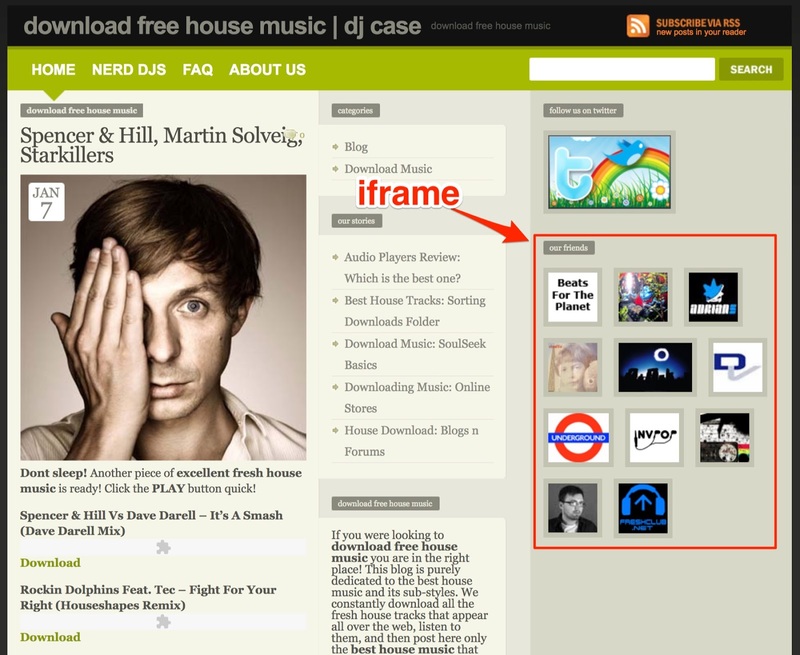 Instead of putting my outbound sidebar links directly on my site, I put them in an embedded iframe. The result? My blogger friends could see that I was linking to them but Google was none the wiser. Please don’t judge me for this trick. I was an SEO newbie and my moral compass wasn’t well‐tuned. Needless to say, I thought I was pretty smart. That was until my blog proceeded to get no organic search traffic for over a year. For transparency: I can’t be 100% sure that my lack of organic traffic was the result of a penalty for attempting to trick Google. There’s a chance that my blog just got sandboxed. Still, that was the first and last time I tried to build backlinks via link exchanges. I haven’t done it since. Now, enough about me. Let’s get to the study you came here for. 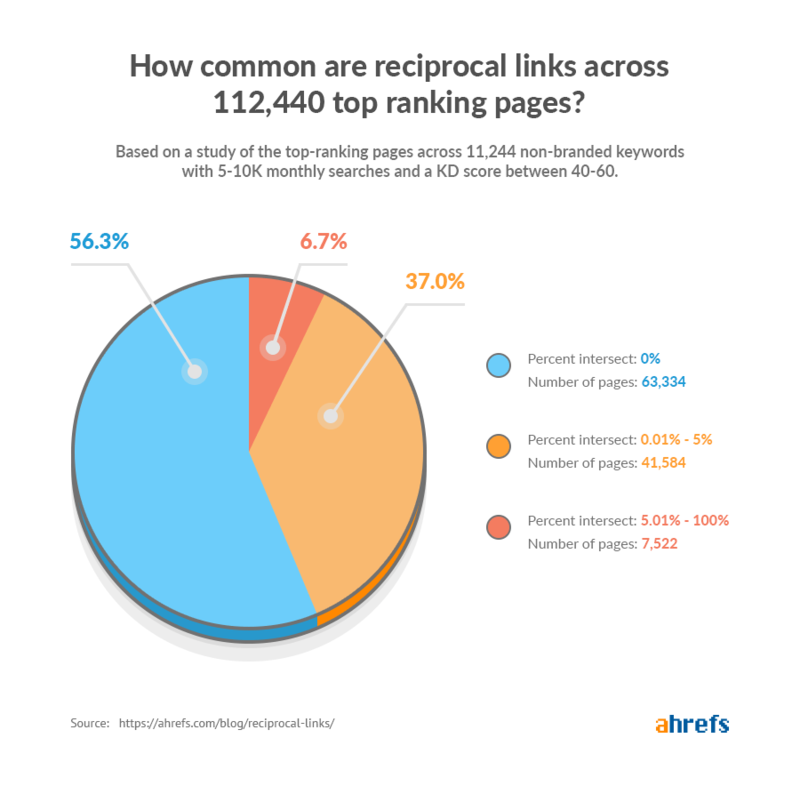 How common are reciprocal links on the web in 2019? Build a particular number of reciprocal links to some of those websites. Leave a few of them intact as your control group. Observe what happens next. I don’t think I’ve seen anyone carry out an experiment of this nature before. Hardly surprising, as doing so would be quite a labor and resource intensive process. Further, here at Ahrefs, we don’t run such experiments—we only study data we already have at our disposal. Our thinking was simple: By studying how common reciprocal links are among websites getting consistent traffic from Google, we could get some clue as to the toxicity (or not) of such links. We only cross‐checked “dofollow” outgoing links with “dofollow” incoming links. The resulting percentage was calculated this way: [# of reciprocal domains] / [# of domains to which the target links out]. 26.4% of the 140,592 domains in our sample have no reciprocal links. 73.6% do. Furthermore, 27.4% of the sites we studied—almost ⅓—have at least a 15% overlap between the sites to which they link out and the sites that link to them. Are you curious as to what these stats look like for the Ahrefs blog? We did the math and found that 19.25% of the domains we link to also link to us. It would seem then that reciprocal links are a common byproduct of the web, so you probably shouldn’t be afraid to link to sites already linking to you. The same applies when asking for links from sites to which you already link. But here’s the thing: This study doesn’t actually prove that reciprocal linking is 100% safe to do. That’s because it suffers from suvivorship bias. In plain English, this means that because we only studied domains with search traffic, any penalized websites were likely excluded from the start. It’s possible for some sites with relatively high amounts of reciprocal links to perform reasonably well in Google. 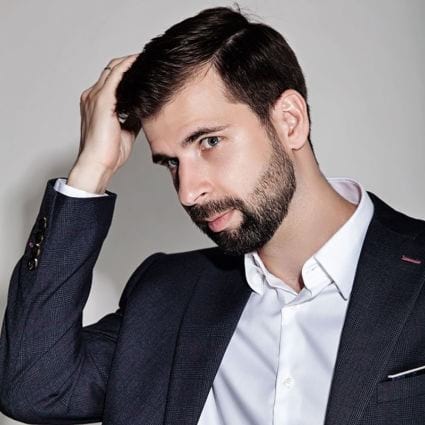 How common are reciprocal links in Google’s top 10 search results in 2019? 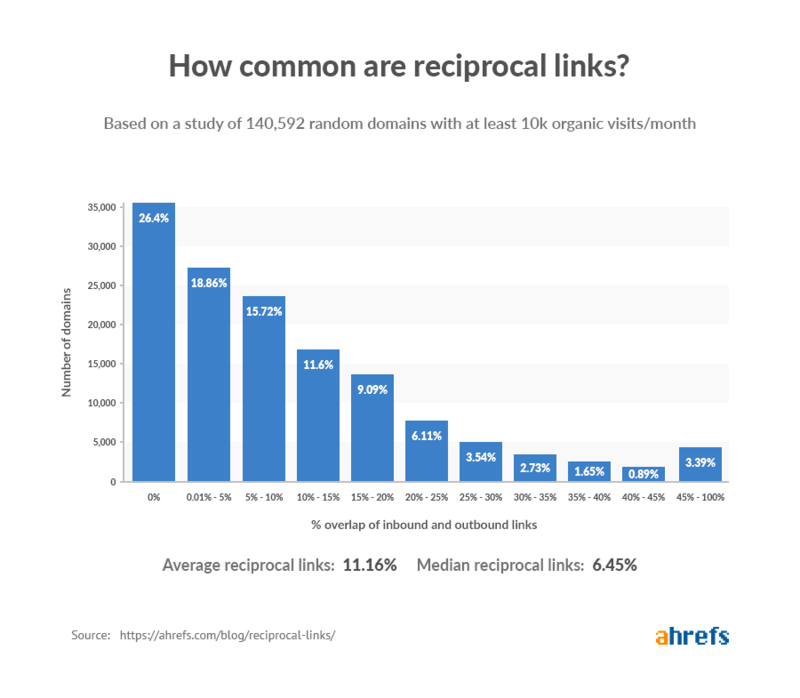 The previous study confirmed our assumption that having a certain percentage of reciprocal links is perfectly natural and won’t necessarily lead to Google penalizing your website. But how “powerful” are reciprocal links? This is an important question. It’s easier to convince friends—to whom you may have already linked in the past—to link to you as opposed to complete strangers. For that reason, it would make sense for Google to value links from friends’ websites less than those from others, right? Build reciprocal links to some of those pages. See what happens next. If you ever perform such an experiment, let us know. Important: Once again, we only looked at “dofollow” links. Search results for keywords with low Keyword Difficulty (KD) scores tend to have a lack of incoming links. That’s why we only picked keywords with a KD score between 40–60. If we didn’t do this, there’s a chance that the top‐ranking pages wouldn’t have enough links for us to perform research upon. 43.7%—almost half—of the 112,440 top‐ranking pages we studied have some reciprocal links. This once again seems to indicate that reciprocal links are a natural byproduct of the web. 4–5 out of every top 10 organic Google rankings have some reciprocal links, on average. NOTE. We calculated percentage overlap by dividing the number of overlapping domains by the total number of “dofollow” referring domains to each page. One page had no overlap, two pages had 0.01%-5% overlap, and seven pages had 5.01–100% overlap. However, note that studying the top‐ranking pages says nothing about cause and effect (correlation ≠ causation). It may well be the case that these pages got to the top of Google thanks to some early reciprocal links from friends. Then, as a result of getting organic traffic and exposure, they went on to pick up more links from other websites. On the other hand, these pages could be ranking in spite of their reciprocal links. There’s no way of knowing for sure from the data we have. 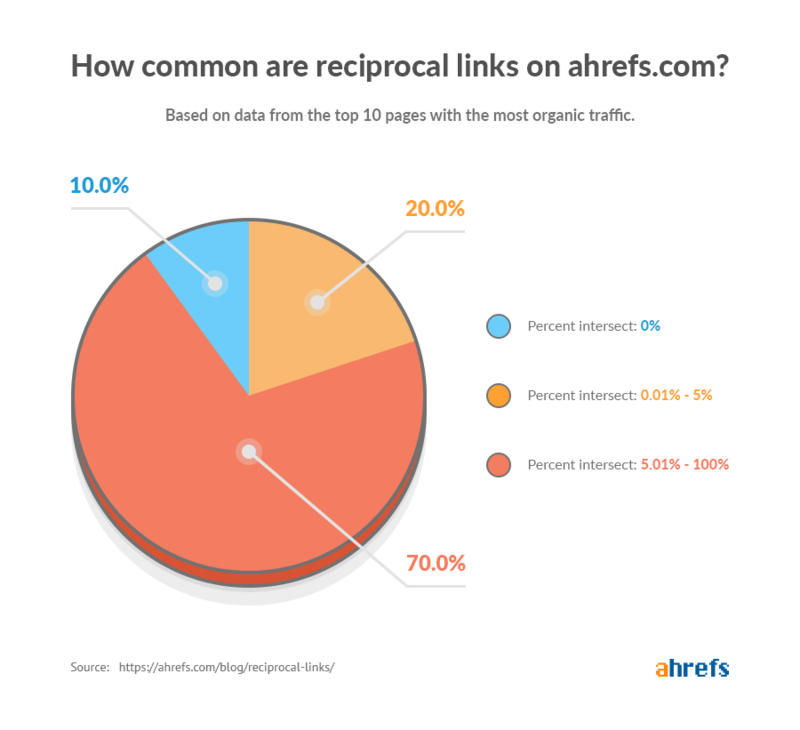 Should you be building reciprocal links in 2019? Exchanging sitewide links with other sites in your industry is unlikely to work in 2019. So confident am I (Yoda!?) that this is true, we didn’t even perform any relevant research to attempt to prove otherwise. Heck, I don’t even remember the last time I saw a half‐decent website with a sitewide outgoing link, do you? 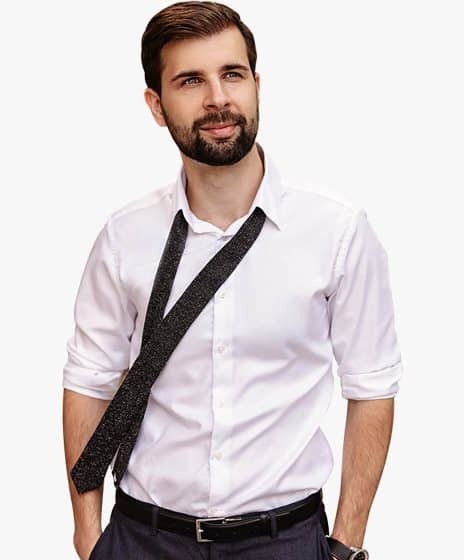 But when it comes to building relationships in your niche by generously linking out to relevant resources—and subsequently ending up on the radars of site owners as a result of doing so, which may indirectly lead to links from them further down the line—well, that’s a good strategy in my eyes. Most content publishers are in fact already doing that, whether consciously or not. Finally, if you’re actively sending “will you link to me if I link to you?” outreach emails, then please stop. We get these every once in a while at Ahrefs and we hate dislike them. We’re betting other website owners do too, as they’re quite disrespectful.